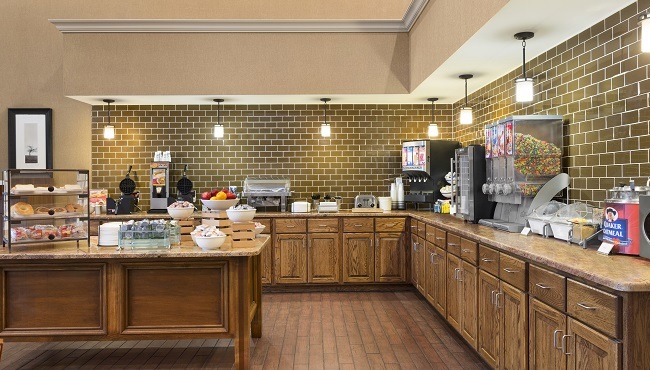 Every morning at the Country Inn & Suites, we serve our complimentary, hot breakfast, which features delicious favorites like Belgian waffles, biscuits and gravy, sausage, pastries and a rotating selection of hot items. Pair your breakfast choices with a cup of our signature gourmet coffee and you’re sure to be ready for your busy day. The city of London, KY also offers nearby popular dining options that include Golden Corral, Ruby Tuesday and Penn Station.